Baldessarini Del Mar férfi parfüm ? Illatcsalád: Fás- fűszeres ? Megjelenés éve: 2005 ? Illatösszetétel: Itália-i bergamott, Mandarin, Fekete bors, Fahéj, Kardamom, Marokkó-i atlasz cédrus, Pacsuli, Vetiver, Ámbra ? Töménység: Eau de Toilette Spray (EdT) ? Leírás: A second fragrance based on a Mediterranean journey. In Hugo Boss?s high-end, luxury range for men. ? Story: Remember back in 2003, when Hugo Boss launched Baldessarini, an elegant and refined fragrance that ?separates the men from the boys???. 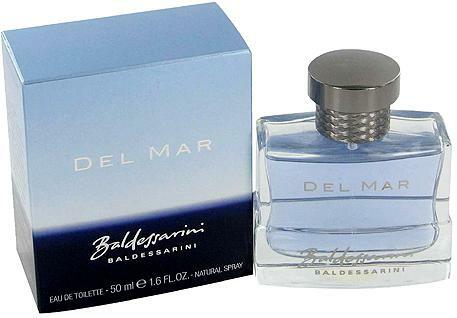 Two years after that resounding success, the Baldessarini line is expanding with Del Mar. The campaign, redolent of travel, showcases Charles Schumann, the house?s star model. We see him at the helm of an ultra-luxurious yacht, with a new version of Charles Trenet?s classic French song ?La Mer? (?The Sea?) playing in the background. A world of escapism and pleasure in a woody, spicy, fresh and sensual scent. ? Parfume description: The fragrance?s notes evoke the different stages of a voyage in a yacht. It opens with citrus accents and black pepper. At the heart is the voyage itself, with waves of sensual spices and cedar from the Atlas mountain range in Morocco. The finish arrives with scents of oliban, amber and warm woods. ? Bottle: A sturdy, square-shaped and facetted bottle, both classic and elegant. The blue of the essence and the packaging evoke Mediterranean azure. And the cap?s inter-locking chevron pattern calls to mind the ropes on an outboard.